A huge chunk of earth surrounding a quarry collapsed overnight. You can see big fissures in the ground right along side thepavement. 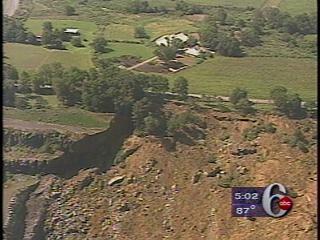 Around 1:30 this morning, there was a rock slide at Penns Park Quarry in Wrightstown. 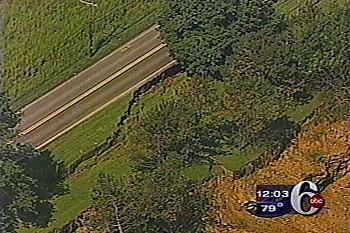 Deep crevices can be seen right on the shoulder of the roadway. PennDOT officials say the road will be closed indefinitely. The cause of the collapse is under investigation.